Summer often features lower traffic volumes and quicker commutes but not everyone is seeing relief. Some drivers near Arlington have been coping with the side-effects of the new, long-term work zone on the George Washington Parkway north of the Spout Run Parkway. WASHINGTON — Summer often features lower traffic volumes and quicker commutes but not everyone is seeing relief. 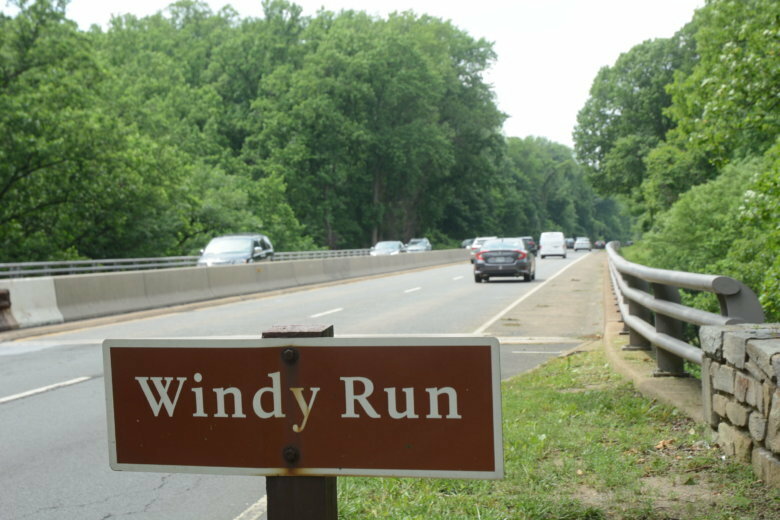 Some drivers near Arlington, Virginia have been coping with the side effects of the new, long-term work zone on the George Washington Parkway north of the Spout Run Parkway. On Monday, the National Park Service reduced the G.W. Parkway to three lanes for the rehabilitation of the Windy Run Bridge. The center lane is reversible, changing directions based on the time of day. Two lanes get by in the rush hour direction but only a single lane is open to drivers headed the opposite way. “Northbound [drivers] with half your roadway taken away, during morning rush hour, we have obviously seen bigger delays,” said WTOP Traffic reporter Jack Taylor. On Monday, the northbound lanes of the parkway were jammed for more than 4 miles from near Reagan National Airport. Subsequent morning rush hours featured less extreme backups beginning near the Memorial and Roosevelt bridges. In the mornings since, drivers have apparently been rerouting themselves. Westbound traffic volumes have spiked on Interstate 66 since the start of work. In a statement provided to WTOP, VDOT said the comparison was based on congestion scans of the first three days of this week compared to a similar Monday through Wednesday period last summer. VDOT was unable to provide exact traffic counts on I-66 because of a planned outage related to the discontinuation of the active traffic management system. The change has affected the on-ramp meters at U.S. Route 29 and Spout Run Parkway, as well as the ramp signals for drivers entering the highway from Glebe Road, Fairfax Drive and Sycamore Street. “Now we’re seeing a lot of people trying to figure out what to do. A lot of them are opting off and riding 66 west going outbound. This morning I had it [slow] from Spout Run all the way out to Sycamore,” Taylor said. Since the bottleneck on the parkway is beyond the exit for Spout Run Parkway, drivers can bail out with the option of using Route 29 to access I-66 or a turnaround to loop back onto Key Bridge. Traffic has reportedly been slower inbound on the Key Bridge toward Canal Road. Since Canal Road is reversible and only open to inbound traffic during the mornings, the bailout from the George Washington Parkway through Georgetown has been forced uphill onto Foxhall Road into Palisades during the morning rush hour. There are some indications that traffic has been heavier on Military Road and Virginia Route 123 toward Chain Bridge, mainly during the afternoon hours. During afternoon, only one lane on the G.W. Parkway is open to southbound traffic. Generally, backups have formed south of Route 123 toward the work zone. Some callers to the WTOP Traffic Center have noted more congestion on the Dulles Connector Road and I-66 eastbound through Falls Church. “These circumstances warrant the consideration of alternate routes and transportation options,” said WTOP traffic guru Bob Marbourg. The shape-shifting traffic pattern through Arlington will likely take a little while longer to stabilize. “There are no undiscovered or unused alternate routes,” Marbourg added. Marbourg drove through the work zone and filmed the lane shift with a dashboard camera earlier this week. The video shows that southbound drivers are abruptly shunted to the left onto the eastern side of the single-span bridge, then back to the right once across the bridge. The Park Service said that drivers should expect the traffic pattern to flip to the other side of the bridge in a couple of weeks. All four lanes are expected to reopen by Labor Day. The median barrier and temporary pavement will be removed by early September as well. The Park Service said that the work was scheduled for August and early September to coincide with the time of the year when traffic on the G.W. Parkway is lightest.